You will earn 1093.00 bonus points. ? Made with select hardwood solids and paint grade materials. Finished with a mid-sheen metallic silver color accented with a textured PVC material for a more elegant look. Assembly includes right and left piers, TV stand and set on bridge. Open shelving with mirror back paneling give an air of glamour. 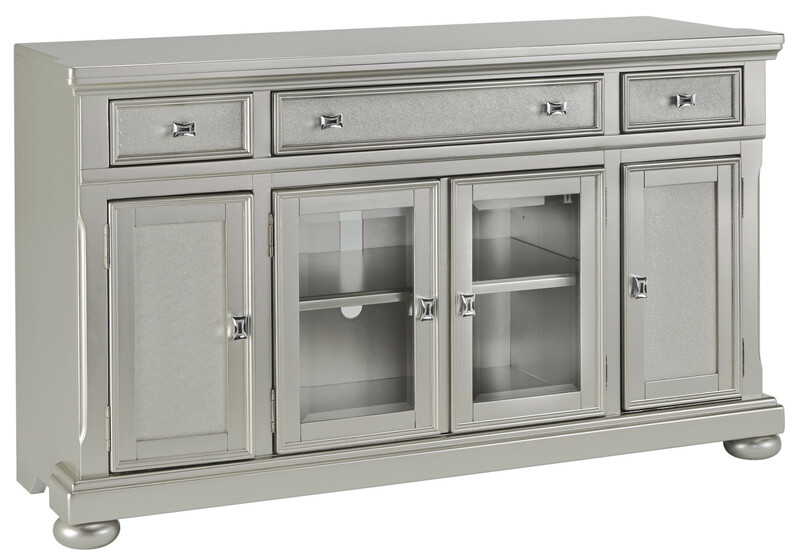 TV stand features 3 drawers, 2 framed glass doors and 2 closed doors for a good amount of storage.